The trend of glam-ing up our local favourites by giving them a modern spin is here to stay. We’ve seen B.C.M Grilled Cheese, Chilli Crab and Chee Cheong Fun ice cream. Now, we have Whisky Char Siew by The Butcher’s Kitchen. 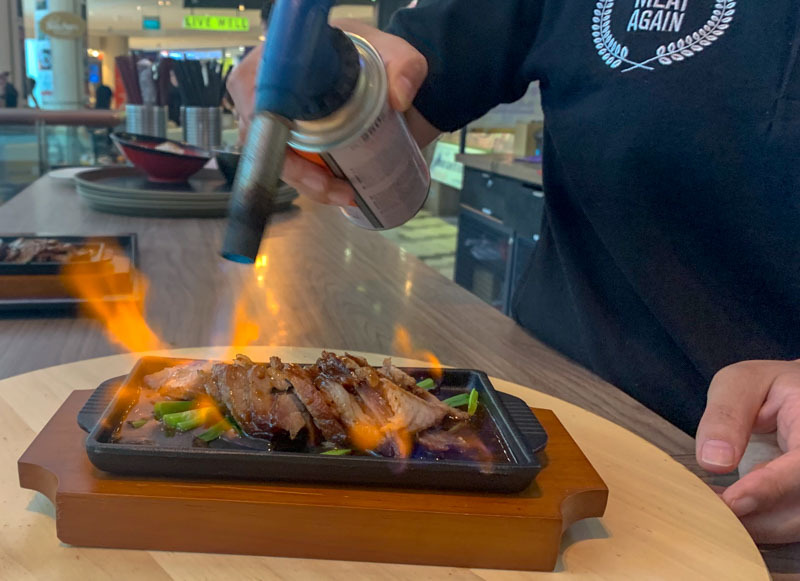 Some may know them for their flaming beef bowls, but this time it’s all about the char siew (and whisky). 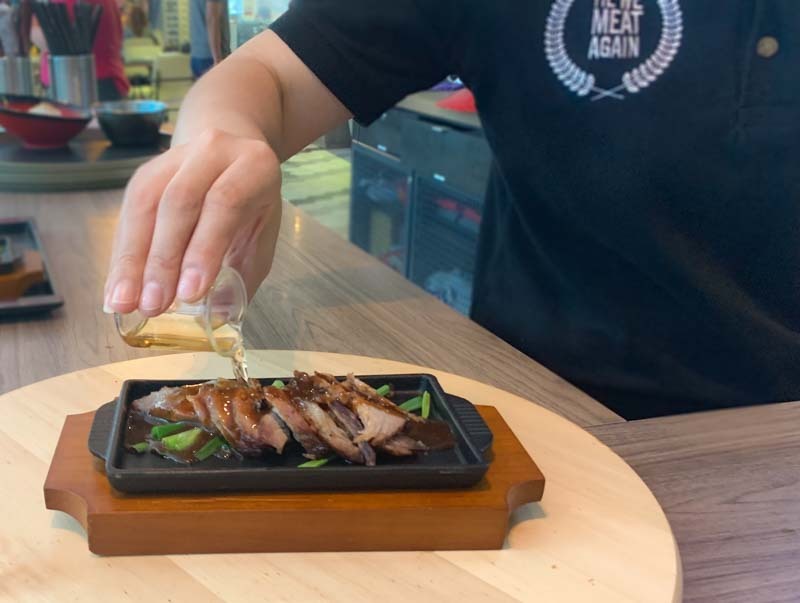 Their new Whisky Series features Singapore’s first-ever Whisky Char Siew, Whisky Chips and Whisky Steak, all available at their Suntec outlet from 15 March 2019. The Whisky Char Siew (S$12.80) is probably the star of their Whisky Series, and comes complete with wanton noodles, soup, their house-style sambal belachan and pickled green chilli. Any char siew fan would know that it’s hard to find good char siew. It’s not an easy dish to master, after all. At The Butcher’s Kitchen, the char siew meat was tender and juicy. The addition of whisky gave each mouthful of meat an unmistakable full-flavoured quality. While the whisky flavour was strong, rest assured that the sweet marinade of the char siew and the smoky char still came through. I must say that if you prefer subtler flavours, the Whisky Steak (S$27.80) might be more palatable for you. 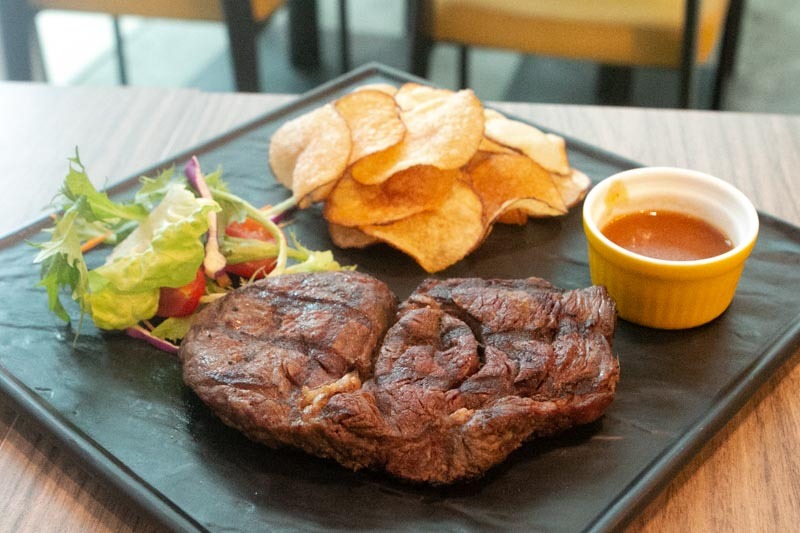 Unlike the char siew, the well-seared black Angus ribeye steak retains the natural flavour of the beef without the whisky taking the centre-stage. What stood out the most for me was the Flaming Char Siew (S$10.80), another first of its kind in Singapore. Beyond the oohs and ahhs of having it torched in front of you, the resulting taste is equally spectacular. The secret Chinese wine concoction is a less harsh addition than the whisky, bringing a slightly acidic and fragrant aspect to the char siew. 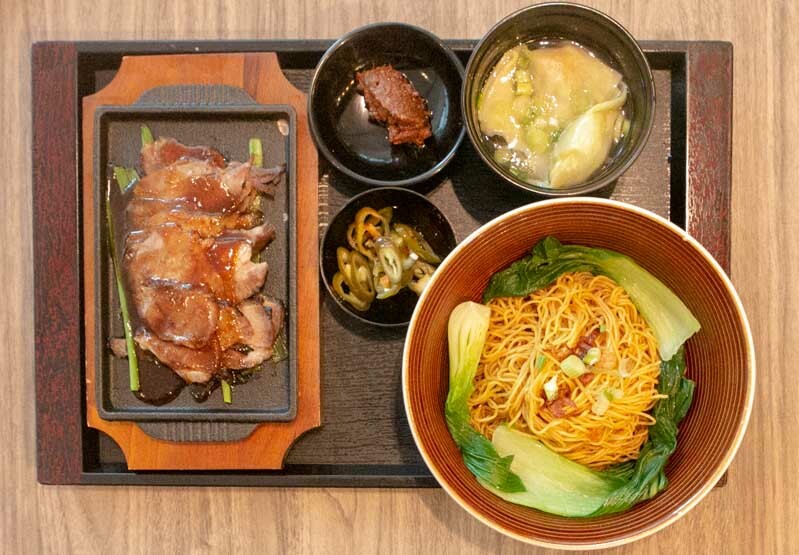 Located right in the heart of Suntec, mark this down as your next new and exciting lunch option!